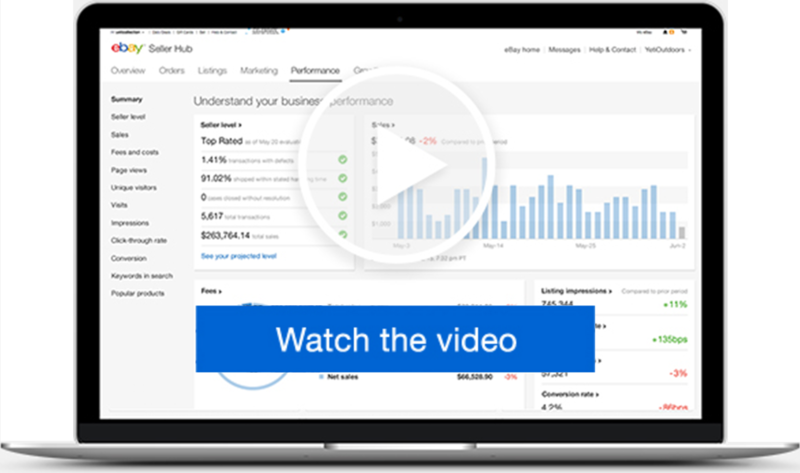 The free, all-in-one place to manage and grow your business. Track sales over specified periods. 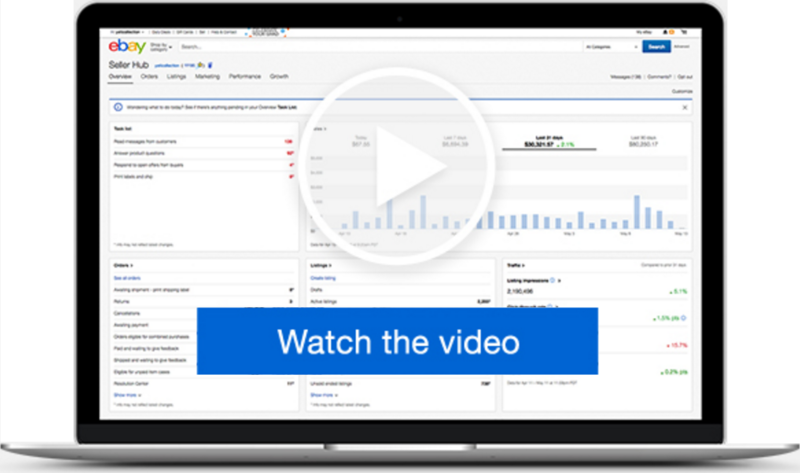 View service metrics and peer benchmarks. Create listings faster with a streamlined listing tool. 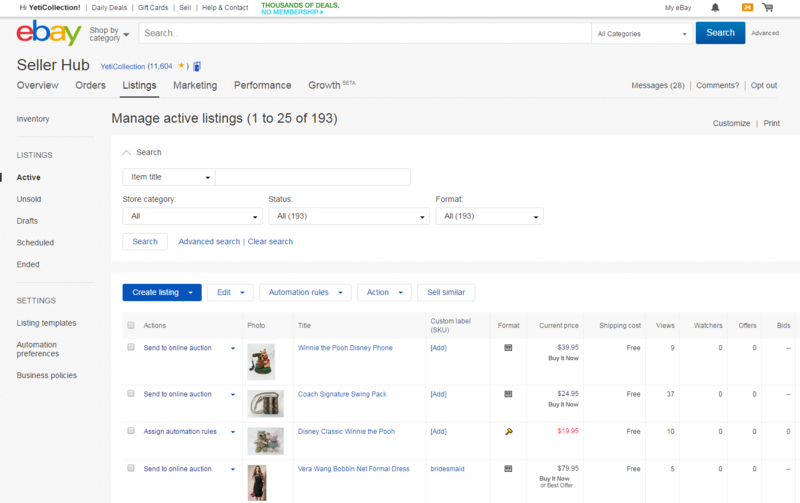 Manage listings and orders using improved search and sort capabilities. 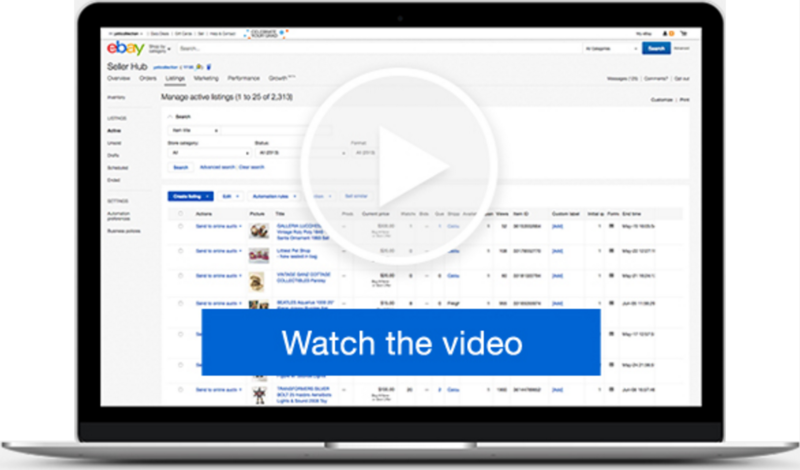 Manage shipping, cancellations, and returns easily in one place. 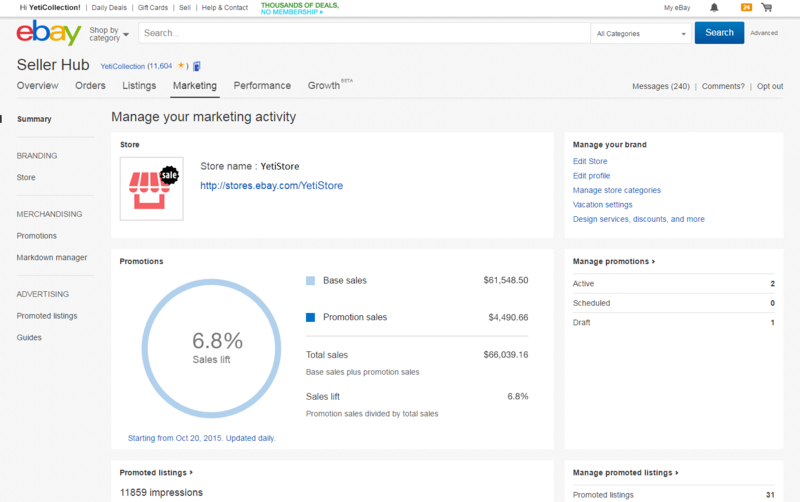 Improve your listings using actionable insights. Seller Hub gives you a concise summary of any actions you need to take so you can fulfill orders promptly and respond quickly to buyer questions and requests. 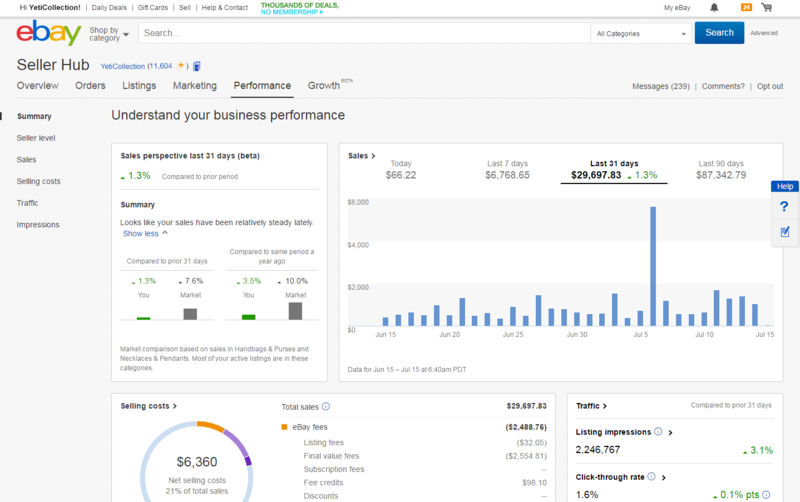 Also, take advantage of detailed reports in your dashboard to help you monitor your seller performance. Selling costs and fees breakdown. Page views and buyer traffic. Manage your brand by telling buyers who you are and why to buy from you. 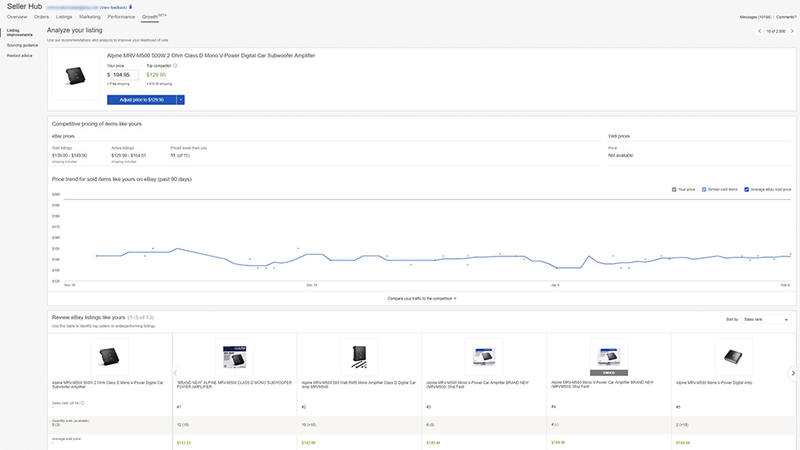 Launch promoted listings to boost your items' visibility and reach more buyers. Create promotions to get your items noticed and sell more items per visit. 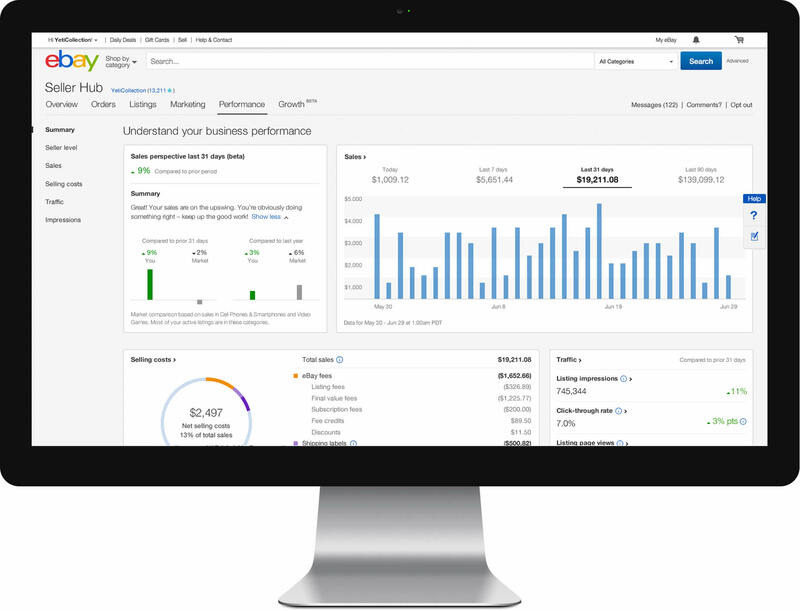 *Selling Manager Pro functionality is only available within Seller Hub to eBay Premium or Anchor Stores subscribers and sellers with an active Selling Manager Pro subscription.